The product has a large cooking surface area of 21”x12”, thus making this model one of the largest electric griddles available in the market. This features splatter guard, which protects your walls and countertops from splattering oil and grease. The non-stick coating on the cooking surface prevents the food from sticking to it. It is recommended to avoid using the metal utensils as to protect the nonstick coating. 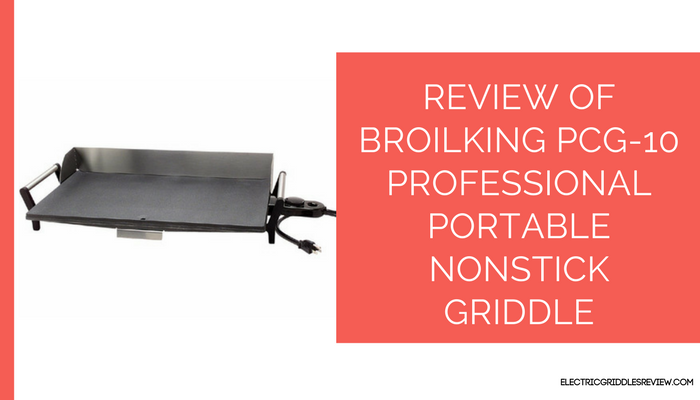 This Broilking professional griddle also features the ability to tilt the cooking surface by using its rear legs. Its rear legs help facilitate grease run off and removable grease-tray neatly catch any grease, making cleanup a cinch. This eases up the cleaning process while making the food less greasy and healthier. It has an environment-friendly nonstick ceramic coating that reaches the adjustable heat of up to 450ºF and maintains the set temperature throughout. It features stainless steel cool-touch handles for easier and safer use. This Broilking griddle distributes the heat evenly across its cooking area with barely any temperature fluctuations. 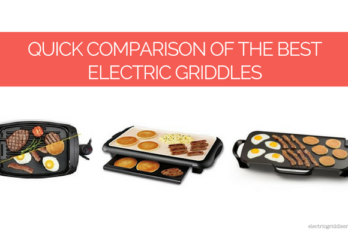 The surface is much thicker as compared to other electric griddles, particularly the Presto brand. The thick cooking surface is the reason for its slow heating; it takes a longer time to get fully heated. Though the unit distributes heat evenly across the cooking surface, however, it can be noticed that left side of the cooking surface tends to get a bit hotter than the right. This probably is caused by the curving heating element on the left side of the product. But once the unit reaches its set temperatures, it maintains the heat pretty well. 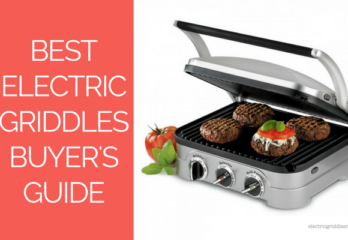 This unit is one of the biggest electric griddles that can reach high temperature than most griddles. In addition, it is easy to clean and cook but it’s a bit pricey than other. It comes with a two-year warranty and is expected to last for years. 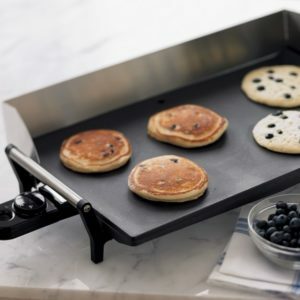 I have this griddle and love it. But I have broken one of the handles and need it replaced. Where and How can I find one.